After spending some time at that Scrapbook Expo on Thursday, I've been on a bit of a creative streak. Here are a couple of things I've made in the past day or so. I drew my inspiration from this card that I had pinned onto Pinterest 40 weeks ago. I still like their card better, I think the solid colors work better for a chevron pattern, but I'm satisfied with my version. 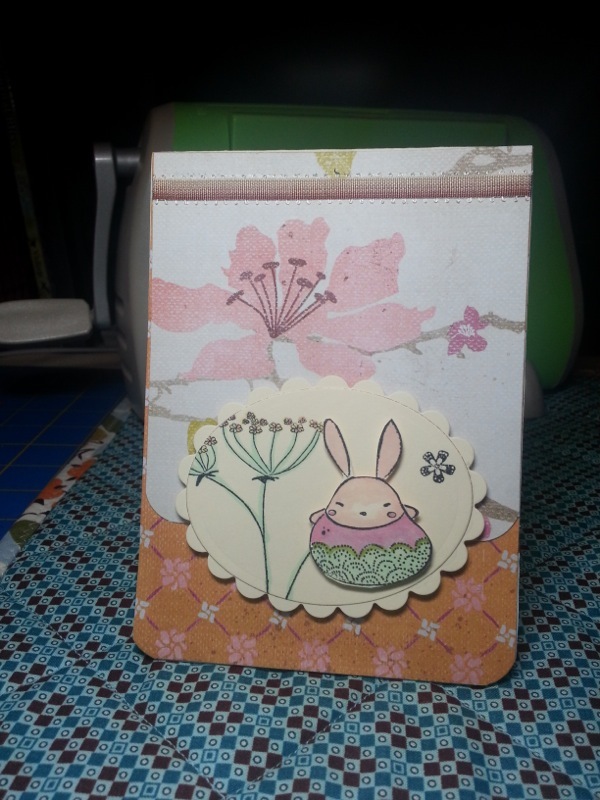 I'll just have to make another card with solid colored paper. I'm going to try to include a photo with the tools I used to create the card, kinda like how I try to include a photo of the ingredients (à la pioneer woman) whenever I share a recipe. Aside from the paper, I used 3 different sized scallop punches to make the flower. The diamond punch for the cheverons - I punched 40 of them and glued them on individually. 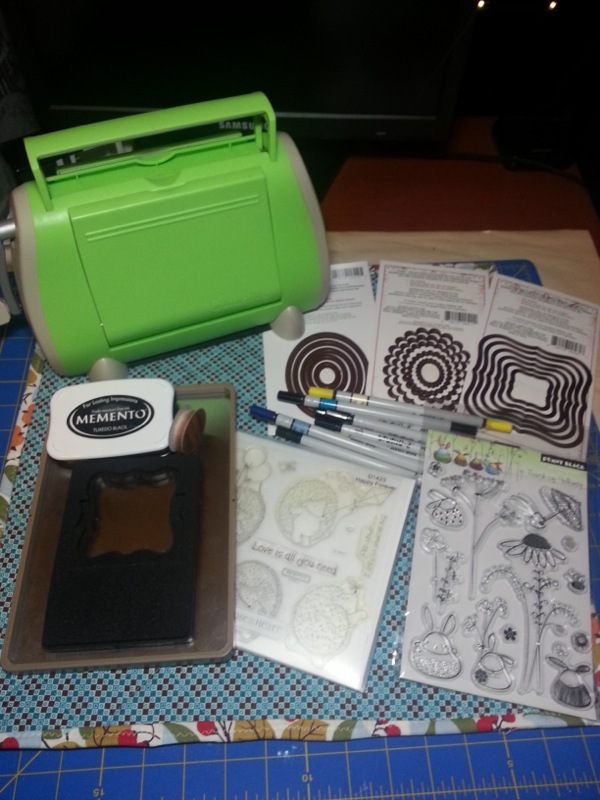 The swirls and birds embossing folder, embossed in my Cuttlebug (see below), a black ink pad and stamps from CTMH. 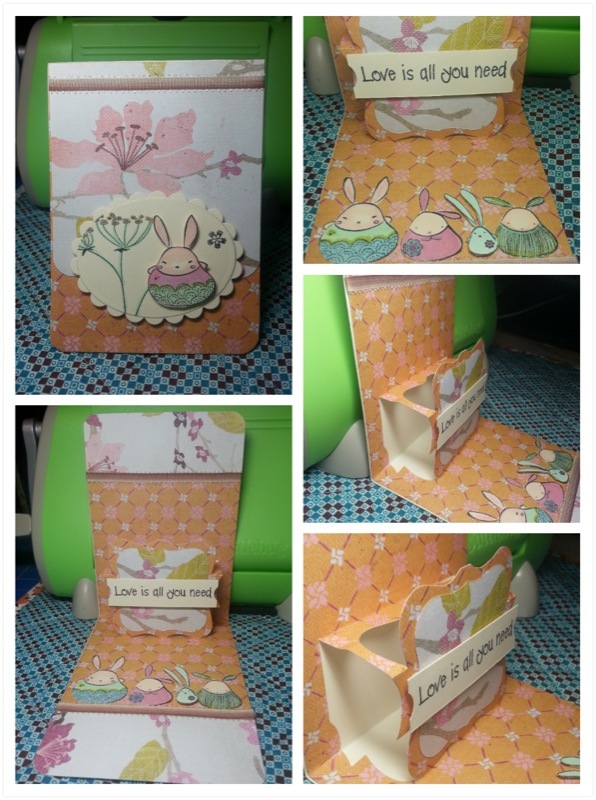 This whimsical little bunny card is inspired by Karen Burniston's pop'n cut dies from Sizzix. When the card is opened up, it has a pop-up image in the center. I just added a little sentiment, but any image could be glued onto it. 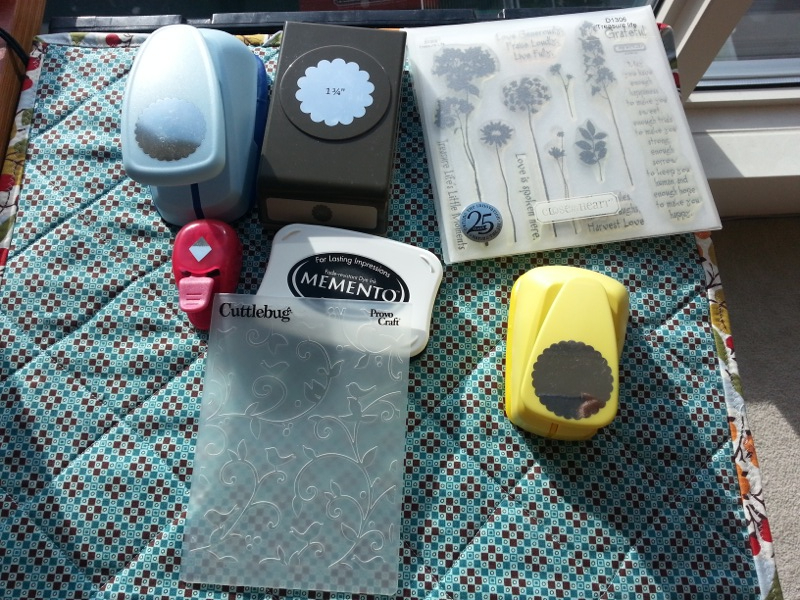 I needed my Cuttlebug to use the pop'n cut die (it's below the ink pad) and the base tray to use the die. 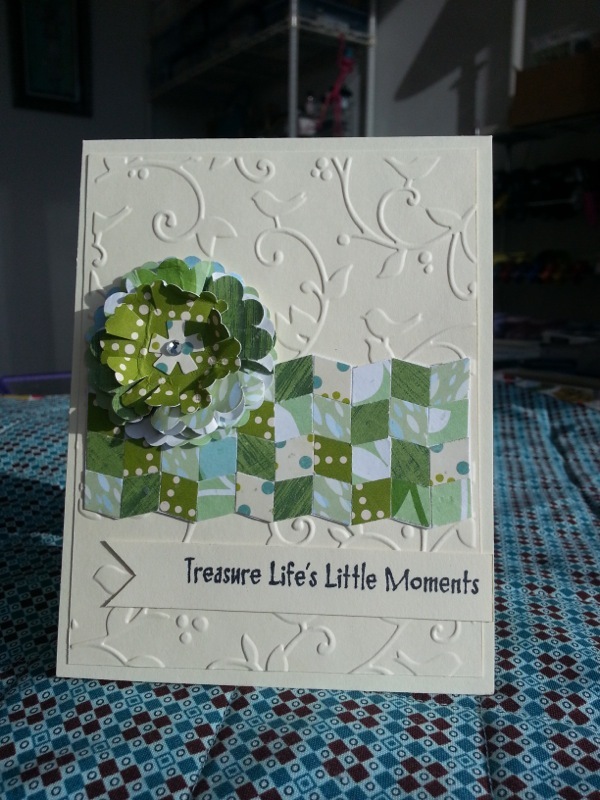 I also used 2 oval dies (1 regular, 1 scalloped) for the front image, and the bracket square die for a layered piece on the pop up. Most of the stamps were from Penny Black colored with alcohol ink markers. The sentiment is from CTMH. you are so creative and artistic. you should be selling your masterpieces.